Use Remanufactured Toner Cartridges to Save on Your Holiday Printing | TonerGreen - Eco-Friendly Toners from the U.S.
December is here, and I know everyone's going to be busy with their own things especially buying everything in their Christmas list, including the gifts and holiday cards they'll send to their relatives and friends. But sometimes, we just don't have the time to deal with this because of our busy schedule. 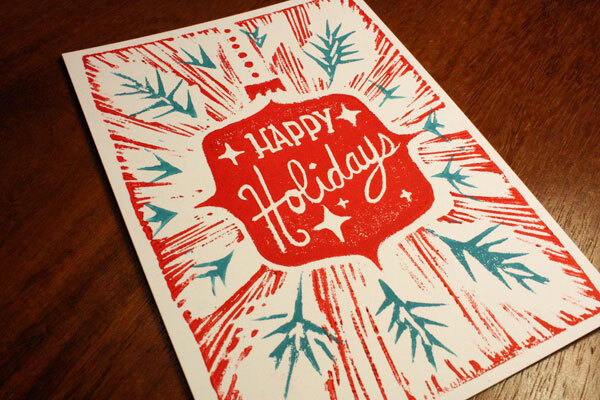 Well, it's a good thing if you have your own printer at home that you can use in printing your holiday cards. However, some may think that this could cause them a lot of money but that's not always the case. Buying remanufactured toner cartridges for your laser printers can save you a lot this holiday. This is because they are most likely to cost 40 to 60% lower than OEM toner cartridges. Also referred to as eco-friendly toner cartridges, these remanufactured printer cartridges are basically recycled used or empty toner cartridges that went under meticulous processes and several quality control tests to ensure that they can deliver the same output and printing page capacity as their OEM counterparts. Think of how much you can save when you choose remanufactured toner cartridges instead of the usual original cartridges you install in your laser printers. For example, the HP 304A set of four toner cartridges, the remanufactured version of these can cost you $99.99 whereas this price can only get you one piece of OEM HP 304A toner cartridge. Ever wonder how much value that will save you this coming holiday? You wouldn't even have to worry about printing a dozen of holiday cards because with such an affordable printing consumable that could get you the same impressive output as OEM toner cartridges, one would surely never have to think of the money that will come out of his/her wallet for printing a lot. TonerGreen, the leader in providing environmentally responsible printing solutions, is one of the online printer supplies retailer that offers a wide selection of remanufactured toner cartridges for printer brands like HP, Brother, Canon, Dell, Lexmark, Samsung and Xerox. We take pride in the superior performance of our products compared to the remanufactured cartridges found on the internet, this is because quality is strictly imposed every step of the remanufacturing process until our products are either picked up by customers or shipped to their address. So if you're looking for remanufactured toner cartridges that deliver outstanding quality output but are affordable, then visit TonerGreen.com.